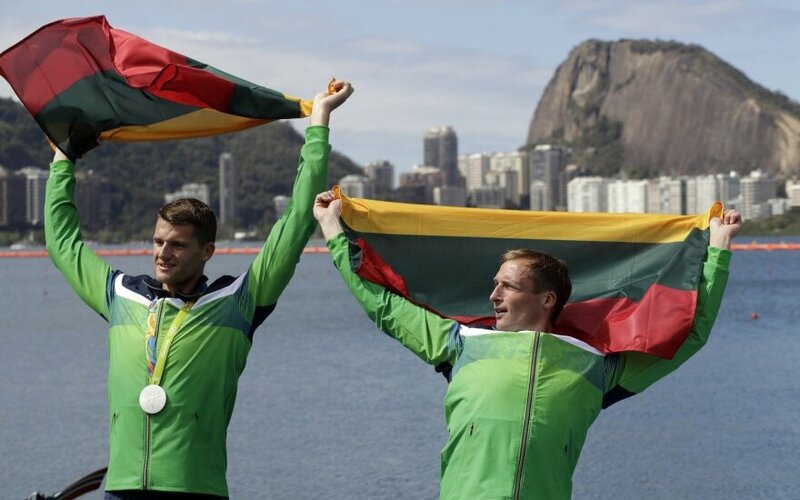 In addition to Olympic medals and national admiration, Lithuanian athletes who did well in Rio Olympics will receive monetary prizes from the government, €560,415 in total. All athletes who ranked in the top 8 in their respective events are entitled to the prizes, as well as members of their coaching staff. Mindaugas Griškonis and Saulius Ritter, who won silver in rowing, will share €115,840 between themselves and their coaches. Rowers Donata Vištartaitė and Milda Valčiukaitė, canoeists Aurimas Lankas and Edvinas Ramanauskas, and weight lifter Aurimas Didžbalis will each be awarded €43,440 for their bronze medals. The Lithuanian basketball team, which finished in the seventh position, will share €104,280. In all, 10 Lithuanian athletes or teams were placed in the top 8 of their respective sports in Rio Olympics. After the 2012 Olympic Games in London, the Lithuanian government paid out nearly €960,000 in prizes.